Companies earning more than 25% of their turnover outside of the Principality and companies whose activities consist of earning revenus from patents and literary or artistic property rights, are subject to a tax of 33.33 % on profits. French nationals who are unable to prove that they resided in the Principality for 5 years before October 31, 1962. Apart from with France, the Principality has signed no other bilateral fiscal agreements. 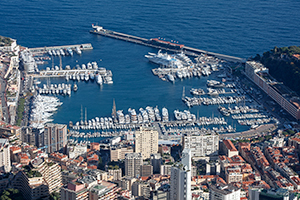 French nationals who can prove that they resided in Monaco at least 5 years before October 31, 1962 are subject to the same system as other nationalities. Other French residents are subject to French income tax collected by the French administration. There is no direct tax on companies apart from the tax on profits mentioned in the previous cases. Fiscal stamps must be obtained for all official civil and judicial acts. In addition, all documents which could be produced as evidence in a court of law must be stamped in order to be valid. Stamp costs are either a fixed fee or depend on the format of the document or the values involved in the acts. Registration duties are collected for the registration of real estate transfers or change of ownership.